Owned and maintained by the National Trust for Historic Preservation, Drayton Hall is unique among all rice plantation properties open to the public in Charleston. Constructed in the early 18th century, it was originally owned by a younger son who did not inherit the neighboring Magnolia Plantation. It is the oldest fully-surviving plantation house on the Ashley River, historically preserved and protected from renovation and restoration. It is not maintained as a showcase home, filled with plantation-era reproductions, nor even Drayton family heirlooms. This building is preserved just as it was when donated to the National Trust by the Drayton family, having been maintained by them for seven generations. 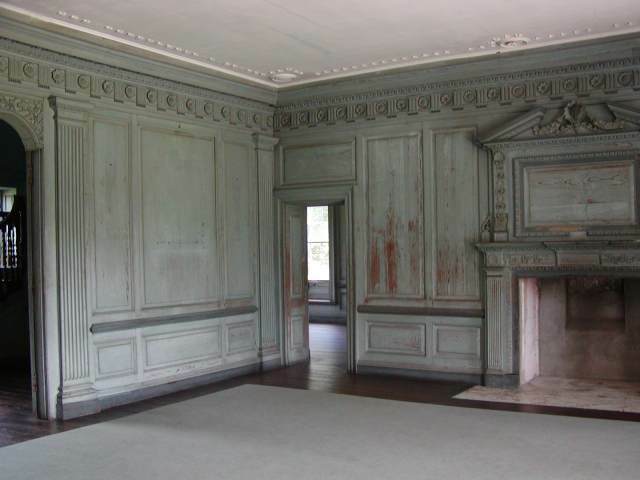 The original moldings, floors, woodwork, and architecture are preserved, as if time had just stopped. It has survived two wars fought only steps from its own soil, as well as centuries of hurricanes, earthquakes and urban sprawl. This property has truly survived the breadth of American history. Few places in this country can you see a monument this historic. Visitors can tour the original plantation home, sharing views that generations of Drayton family members have observed. The view from the house to the Ashley River is truly one of the most remarkable experiences the Charleston area has to offer. Here, you can literally stand on the front portico of a pre-Revolutionary manor and see across the lawn to the River where cargo and merchandise would have been uploaded and unloaded on its way to and from the markets on the Charleston peninsula downriver. The grounds of the Drayton Hall plantation are equally impressive. Gardens and plants stretch along the Ashley river, providing a great walk for tourists and visitors. These gardens, however are not as extensive as those found at the nearby Magnolia and Middleton plantations. The objective here has been to preserve the house. Also, be sure to check out the tour highlighting African-American experiences on the plantation; there is a recovered African-American cemetery on the property. It has a grand exterior that has stood the test of time. The best view of the house can be seen from the far side of the small pond in front of the house. You will see an door frame in one of the front downstairs rooms where children's heights were measured. There is also a slightly hidden stairwell that was used by slaves to stay hidden from other people. There is a very nice view of the Ashley River along the bank. Drayton Hall is amazing because of its authenticity. It is my favorite plantation to visit among those open to the public. The house is like a living museum artifact that you can `walk through. The National Trust should be applauded for its continuing efforts and investments. Here we learned that in early plantation homes, rooms were designed for multipurpose use. Rooms were large in order to allow constant movement of furniture depending on events. Other than bedrooms, very few rooms in a main house had a permanent designated use. The grounds along the Ashley River are beautiful to explore.